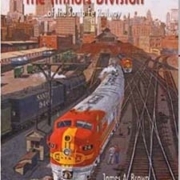 The Santa Fe Railway Historical & Modeling Society and its predecessor organizations, including the Santa Fe Modelers Association, the Santa Fe Modelers Organization, and the Santa Fe Railway Historical Society have been actively engaged in the gathering, preservation, and dissemination of information about the Atchison, Topeka, & Santa Fe Railway and its various predecessors, subsidiaries, affiliates, and partners for over thirty years. 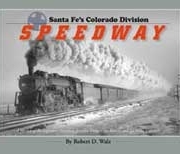 The Society’s books and magazines have produced a relatively comprehensive picture of the Santa Fe, its locomotives, rolling stock, operations, structures, track, and ancillary equipment and operations, as well as such important Santa Fe auxiliaries as the Fred Harvey Company and Railway Express Agency. 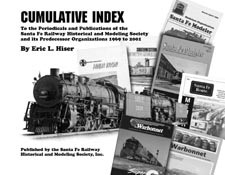 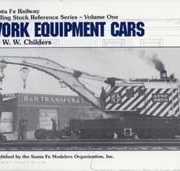 Unfortunately, until the publication of this work, no comprehensive index to this treasure trove of information has been available to the historian, modeler and railfan. 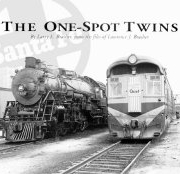 11×8½ spiral bound 276 pages.